Location: 2nd Floor, District 3, International Trade City. Opening hours: 09:00-17:00, except a 7-day-close down during Spring Festival. Let’s go round Yiwu office and school supplies market. The market has more than 2500 showrooms for pencil sharpeners, pencil cases, pencil pouches, erasers, correction fluids, rulers, adhesive tapes, file folders, notepads, terrestrial globes, paper clips… All kinds of the big and small article one need for the stationery shop. The variety of the stationery is beyond one’s imagination. You can look around the shops and find the articles which satisfy the local customers. And this is not a problem for you to do the modification according to your requirements. If can find the right suppliers, the price will satisfy you and make you more profit. Most suppliers in Yiwu office supplies and stationery market are from Zhejiang province and Guangdong province, including many strong manufacturing cities and towns like Shantou, Wenzhou and Ningbo. Brands stretch widely from Global brands to China top brands, to local top brands, to local small brands, then to non-brands. The business rat race never stops. 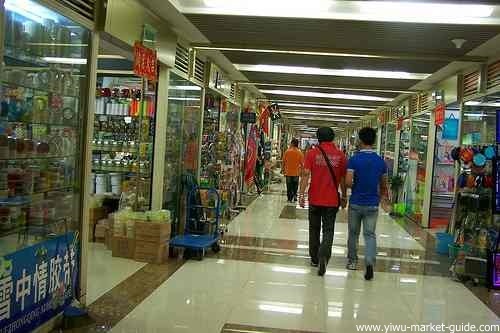 More and more suppliers from all over China choose Yiwu market as the first place to put their newest models and quote their lowest price, for a bigger market share, or just for eyeballs. Small mixed orders are very easy here. Some buyers from the small company and some just want to have a try order, so they don’t want to place a large order. The mixed designs and mix colors is allowed here in shops. But the minimum order quantity is very different from shop to shop here. The shops are full of low price and small things. We hope you can come to Yiwu Office and School Supplies Market to purchase.